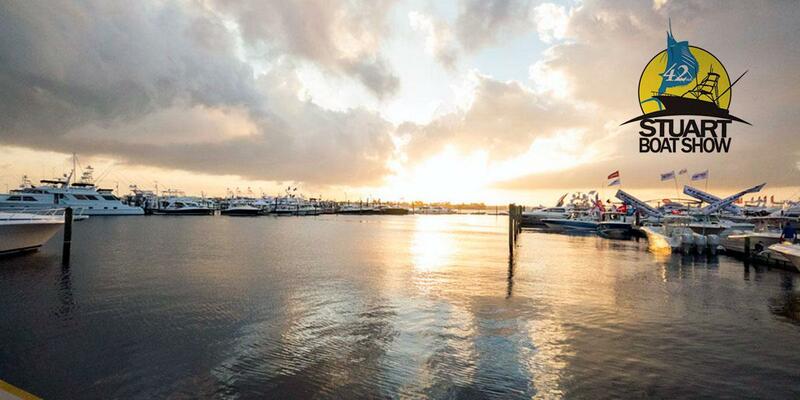 The Stuart Boat Show is the largest boat show on Florida’s Treasure Coast featuring over 200 local, national and international exhibitors displaying hundreds of boats in-water and on land. Additional exhibits include the latest in personal watercraft, marine electronics, outboard and inboard engines, safety equipment, accessories, boat lifts, fishing gear, nautical clothing and jewelry, as well as financing and insurance companies. Plenty of seminars, music, delicious food and drinks add to the festivities. The Stuart Boat Show was named one of the Top 20 Events in the Southeast for 2016 by the Southeast Tourism Society. Come see what it's all about and enjoy a weekend of fun and boats in quaint downtown Stuart, Florida. Click here to visit the official Stuart Boat Show website for all hours, ticketing, and visiting information. STUART BOAT SHOW 2017 DATES 15 SECOND TV REVISED 3 from AA Video Jeff Aderman on Vimeo.